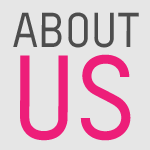 Looks Good from the Back: We Discuss: Justin Bieber and Scent Memories. A: I can’t swear to it but I think the Sunday Riley Vitamin C serum is actually working. M: I’ve heard good things about The Ordinary vitamin C stuff too and it’s so cheap. M: But the owner is going to destroy that company. A: Yeaaaah. Down in flames. 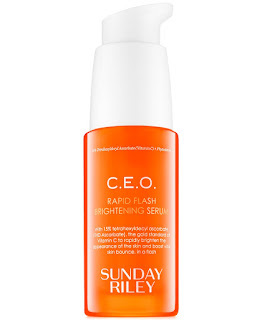 A: Most vitamin C serums break me out but the Sunday Riley stuff doesn’t. A: I have a few face oils from the Ordinary and they’re fine. A: Cheap if nothing else. 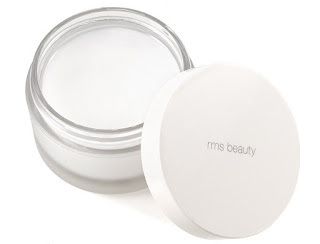 A: I was all excited to buy the RMS Beauty coconut cream and then I was like…wait. Is it really just an overpriced jar of coconut oil? M: Yes, yes it is. A: She claims it’s like, super duper special organic artisan coconut oil but still. It’s just oil that I’m gonna wash right off my face. M: There is only so much you can do to it. A: But Marianne, it’s special *raw* coconut oil. M: If anyone believes that, I have a bridge to sell them. A: I am actually in the market. M: It’s got great views. A: Will it give me a glowing complexion? A: Anyway, I am actually almost 100% positive that this Sunday Riley stuff is making my face look better. 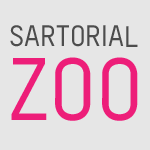 Just smoother and more…something. Brighter? A: Has the Ordinary guy done anything stupid lately? M: I haven’t been keeping up tbh. M: There was some crazy letter after the royal wedding. 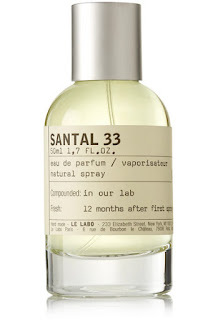 A: Ooh, my Le Labo Santal 33 sample has shipped. A: I love that all the articles about it are like, “That perfume you’re smelling everywhere!” And I’m like, do you understand I live in Virginia? A: But I HAVE TO KNOW. M: Well even here in Knoxville I’ve had a few people ID it immediately. M: Which is a bit of a drag but I love it so whatever I guess. A: Interesting! I am usually up on this stuff but had somehow never heard of it. M: It is literally all over Brooklyn. A: Some things are popular for a reason. M: Like every single man and woman wearing it. A: That’s so funny. WE ARE ALL INDIVIDUAL TOGETHER. M: And I’m like how are all these children affording $200 perfume. A: That was a question I had as well. A: But I’m an idiot who paid money for a decanted sample so. M: Ha, that’s what I did first! A: I got the idea from you. M: Now I have a bottle but I honestly wish I had just gotten the balm oil rollerball because a rollerball is so much easier to carry with me. M: I only remember to spray it on myself half the time so I decanted a bit of my own bottle into a rollerball. A: Smart! If I love it I’ll probably start with a rollerball. I have commitment issues with fragrance. M: I get that. I mean I just spent like a year trying to find a signature scent and it’s apparently everyones signature scent. A: Justin Bieber wears it. M: I bet he smells great! A: Bieber has notes of tattoo ink, privilege, crisp Canadian dollars and Santal 33. M: My boss texted me from Atlanta where she was seeing Hamilton and was like someone here smells like you!! M: Honestly I don’t care. M: I love the way it smells and I love being told literally every day that I smell amazing. A: That is a LIFE GOAL. A: I’m sure millions of people wear my favorite Jo Malone perfume - it’s not a secret. M: Exactly! So I will wear it forever and there will be other trends and eventually it will be Mine. A: You just need to wait it out. M: And my kids will be like my mom always smelled amazing when I am very old and die. M: It’s good to have long term plans. A: I really like that you’re planning your scent memories now. M: Better to focus on that rather than the world going down in flames. I've now ordered a discovery set from Le Labo! When I lived in NYC this scent was everywhere on the subway but it took ages for me to figure out. I just thought it was a pleasanter aspect of the subway smell!